The other day I was planning out my daughter's homeschool lesson for this week. I tend to look at any upcoming "important" days, such as National Chocolate Day or something like that so we can do a fun activity for that particular day. When I realized that Earth Day was this week, I knew we had to do something fun, yet educational. Now conveying the importance of Earth Day to a five year old without giving them the gloom and doom of "if you don't clean up our act, the Earth will not be a nice place to live" speech isn't easy. So, I did what most moms (and possibly dads) do - turn to Pinterest to find activities and information (well, at least that is what I do most of the time). It was amazing (and at times overwhelming) the amount of ideas and information you can find on Earth Day activities to do and information to learn about. 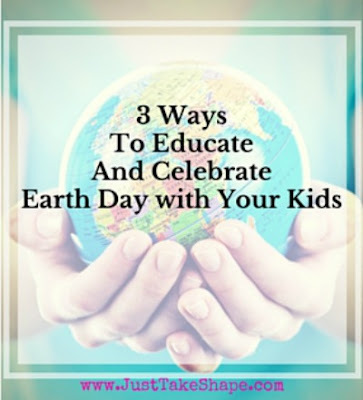 Not to mention, learning that Earth Day isn't just about planting trees or learning about recycling, but also focusing on simple things such as planting your own food and using fewer chemicals. So I chose five general topics that were both fun and educational (even for me too) to focus on that involved crafts and/or learning about : Recycling, Gardening, Food, Home and Personal Products. When looking for ideas about recycling, I wanted to look at something that wasn't mainly about how to recycle (only because she knows why we recycle), but what you could do to products that are recyclable. Basically turning something used into something new and different. I found a great post by Mom's Messy Miracles, 5 Ways Preschoolers Can Go Green, post, which was perfect for ideas on turning common household food containers into something new and fun. 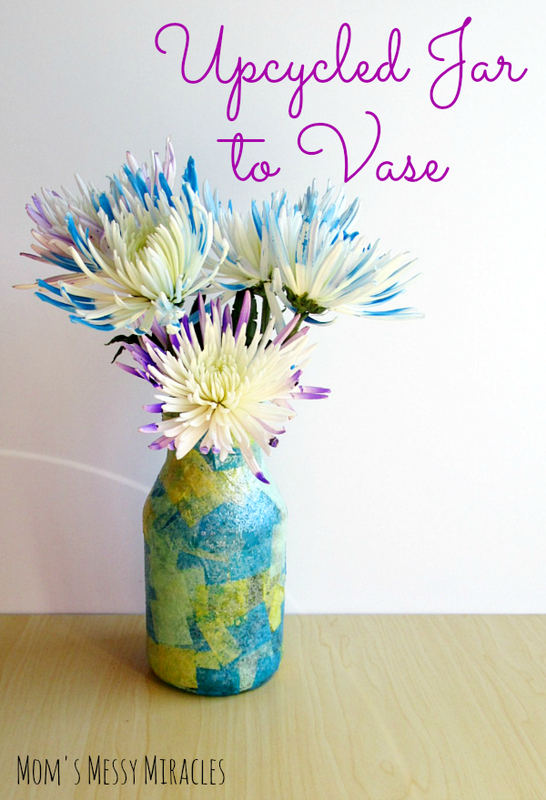 The upcycled jar to vase and recycled milk jug planter are just two of the projects that will be added to our Earth Day fun. My daughter loves to help me garden, but I wanted to do something different than just planting seeds (which we have already done in preparation for this year's gardening season). So why not talk about how vital good bugs are to the garden, which is a perfect into to teaching about the use of pesticides. But then the thought of bugs, especially ones that fly, well, let's just say that it would become a disaster REAL quick. But for some reason, she thinks worms are cool (as long as she doesn't have to touch one). Now, growing up, we had a worm composting bin. I must say it was pretty cool to just dig around for worms in the bin and not get in trouble for digging a hole in the yard looking for worms. 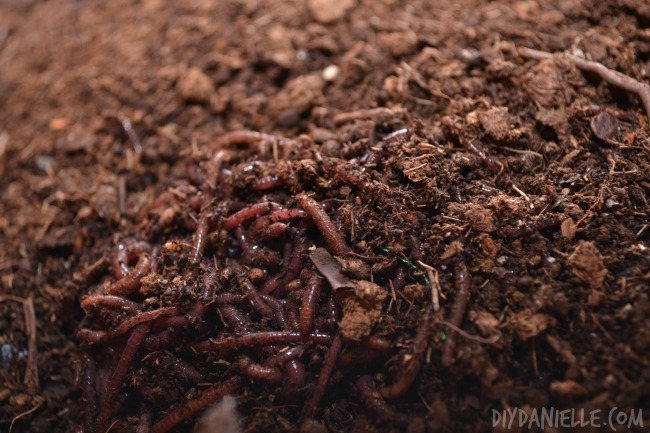 But I also wanted to teach about the importance of good soil condition and the benefits of worms in your garden, not to mention how and why we compost. 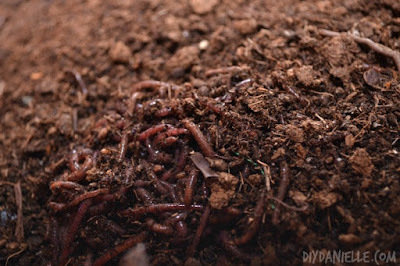 So I turned to my friend and fellow blogger at Do-It-Yourself Danielle and her excellent tutorial on Worm Composting. I must admit that this project will be fun and even one that my 11 month old can enjoy too. Now the idea of growing safe foods isn't necessarily something that is probably considered an Earth Day project or learning experience, but since we will be working outside on our worm composting, it would be the perfect time to touch on the aspect of keeping our foods in a more "natural" state and learn about GMO crops and how they are not healthy for us. On Earth Day we focus on keeping Mother Earth clean. But I wanted to take it one step further and discuss how using chemicals to shampoo with or even wash our clothes can be harmful to us. 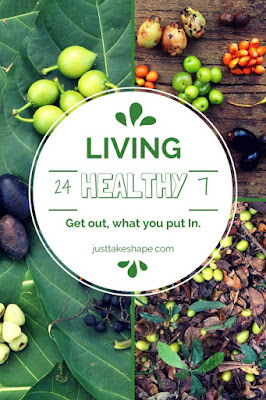 I plan on using the information in my guest post that I wrote a guest post for Whole Life Service, Are you Living Healthy?, which discusses how you can eat organic, non-GMO foods, but if you are still using chemical laden shampoos, laundry detergents or even room deodorizers, then you are still exposing your body (and others around you) to dangerous, toxic chemicals. In keeping with the Earth Day theme, my daughter will learn about using homemade cleaners and even essential oils in keeping the home clean. 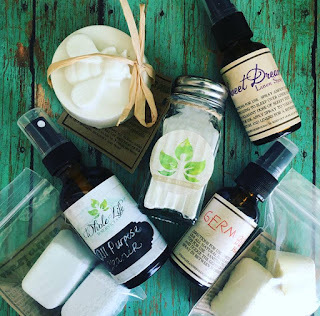 Since one of her chores is to help clean the house, we can use this opportunity to learn about why we use chemical free products and instead use ones with essential oils for not only disinfecting, but also making the home smell good. 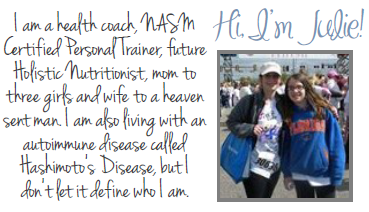 When talking about essential oils, I contact my friend Angel at Whole Life Services. She knows a ton about essential oils and what they can be used for. These are just a few of the things that we are going to learn about and do as part of our Earth Day celebration. How are you going to celebrate Earth Day? Whole Life Services has so graciously offered a discount on her Try It and Love It - Green Home collection at a 22% off savings for Earth Day. Just use the promo - EARTHDAY. I use a lot of her products and trust me, you won't be disappointed. Coming up with new recipes while on an already limited allowed foods you can eat isn't easy. Not to mention when you have a toddler and 5 year old constantly needing your attention, having too cook three meals a day is not ideal, which means that at times, you skip or miss a meal and which can lead to cheating and eating foods you are not supposed to eat. One way to conquer the temptations is to always have something readily at hand, either by making all your meals one day of the week, or doubling (or even tripling) meals when you prepare them. I typically will prepare a few meals one day a week, but will also triple meals so that there are plenty leftovers for at least a day or two. Zucchini and Sweet Potato Hash is just one of those meals. 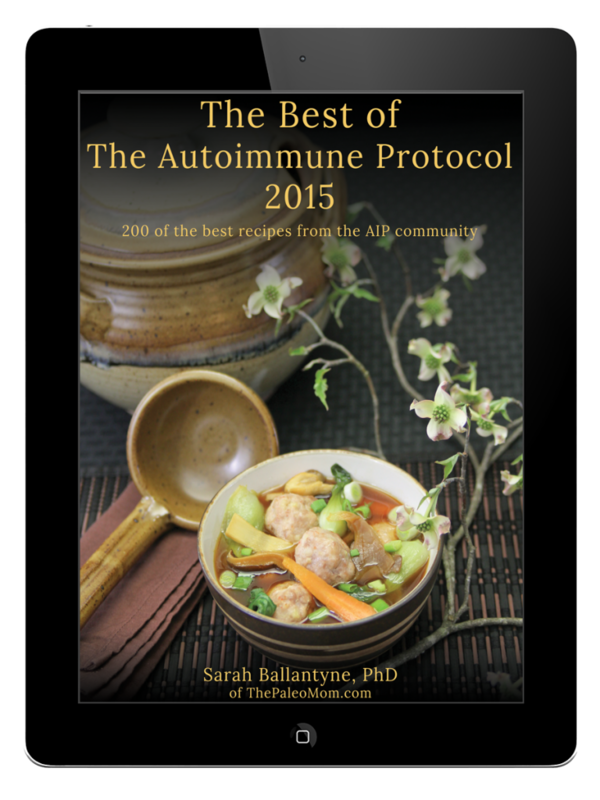 It is so easy to prepare, requires a little preparation and takes less than 30 minutes from start to finish. Brown ground turkey in a slightly oiled pan on medium. While turkey is cooking, peel and cut sweet potatoes and zucchini into cubes. Once turkey meat is cooked, add sweet potatoes and zucchini and add in a pinch of sea salt. 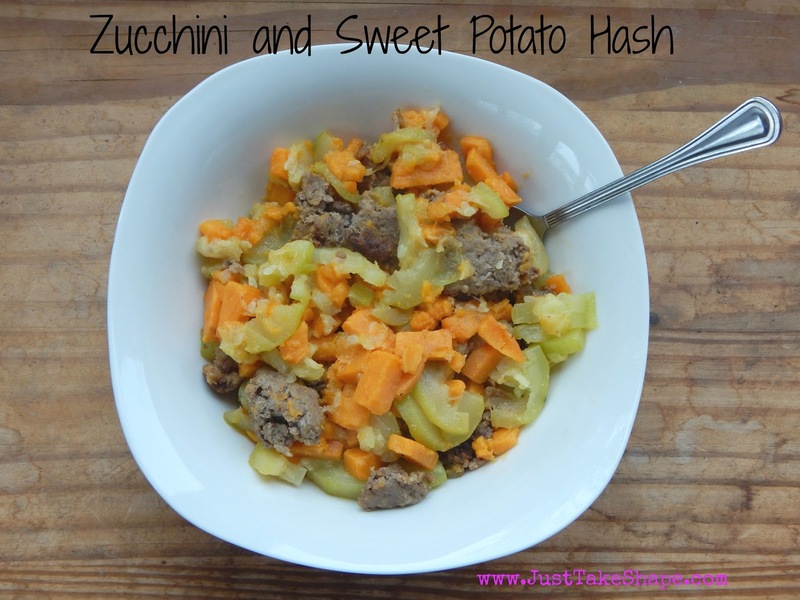 Mix in the sweet potatoes and zucchini and cover pan. Occassionaly stir mixture every few minutes. Cook for 20 minutes or until sweet potatoes are soft. Remove from heat and allow to cook before serving. This mixture will feed 3-4 people. You will want to double the recipe to use as leftovers. There are many variations in terms of ingredients that you can add to this basic recipe, such as cooked bacon, yellow squash and even spinach (added to the mix once it is removed from heat). You can also substitute ground turkey for any type of ground meat, such as beef or chicken. I've even used leftover cooked chicken breasts, shredded and used in place of ground meat. I'd love to hear what your thoughts are as to what your favorite vegetables you are considering adding to this recipe? Tacos are a staple food item in our household. 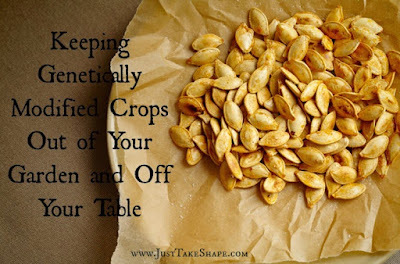 But when you start eating Paleo (or more specifically AIP like I am currently doing), any grains, including corn, are out of the picture. And yes, you can have "tacos" with a lettuce wrap instead of a shell, but seriously, sometimes you just need that crunch - you know the crunch of the shell and all the meat and lettuce falls out onto you lap kind of crunch. 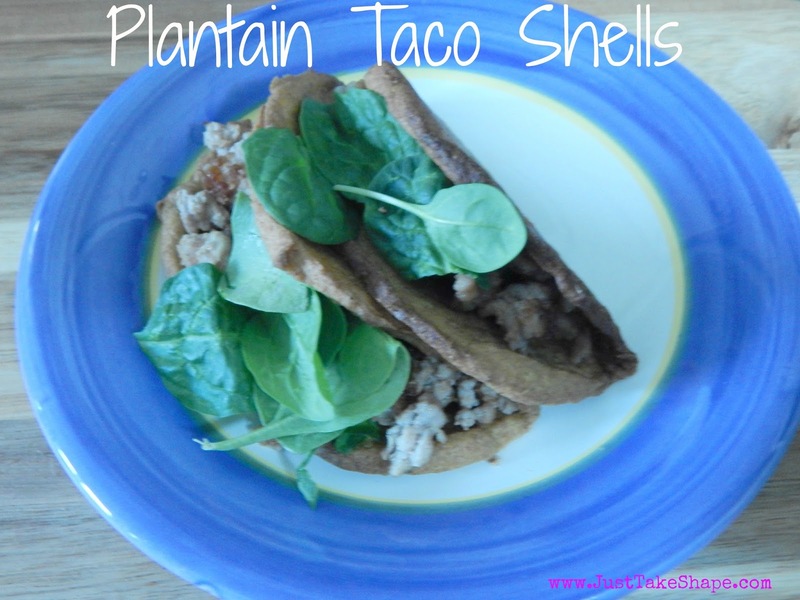 So after looking at Pinterest for different types of foods to make while on the AIP way of eating, I stumbled across using plantains as tacos. Now I had never heard of plantains and were not easy to find in the grocery store. However, the Super Target (of all places) sells them, but you can also find them at most ethnic grocery stores too. They tend to last a few weeks in the refrigerator so by them in large quantities. When using plantains, you want to buy them when they are green - the greener the better. As plantains ripen to a yellow then black, the sugar content also increases. So when you substitute plantains for things like corn shells, you do not want a sugar taste at all. Green plantains are also hard to open unlike a banana. You will need a sharp knife to slice it open. Now I must mention that this is the first time I have made plantain taco shells, so this was more like an experiment than anything. Honestly, they were not hard to make, just a little dangerous (as you will see why below). In fact, they were quite tasty and very filling. 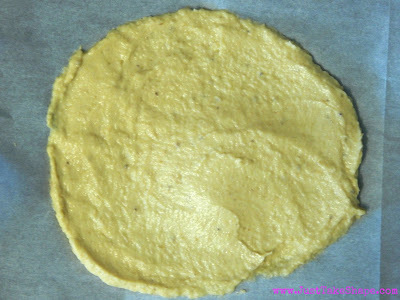 Put cut plantains, oil and salt into blender or food processor. Blend ingredients until you get a smooth, creamy mixture. 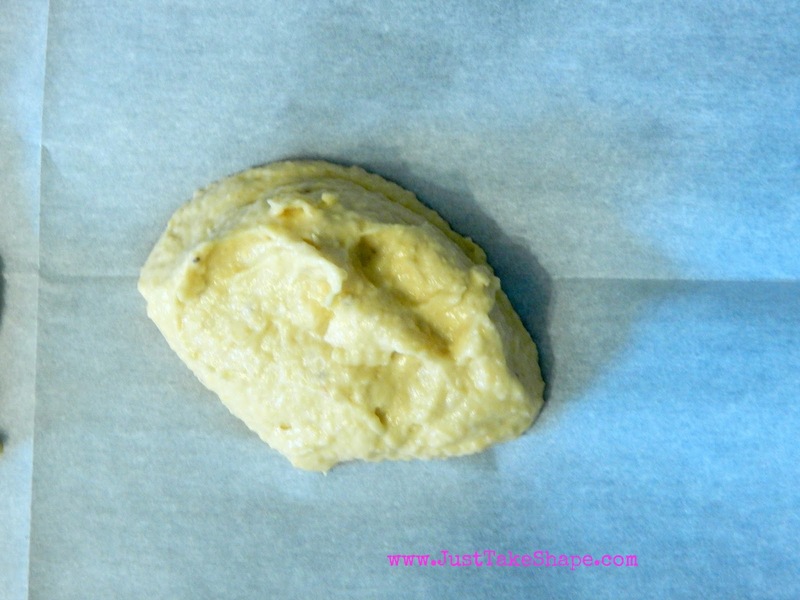 Take 1/2 cup of mixture and place onto a parchment paper lined baking sheet. Smooth the mixture out until it is about the size of your hand. Continue to do the same with the remaining mixture. 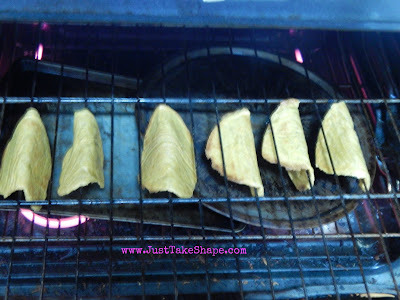 Place in oven and bake for 25-35 minutes until the "shells" are cooked, but not burnt and remove from oven. 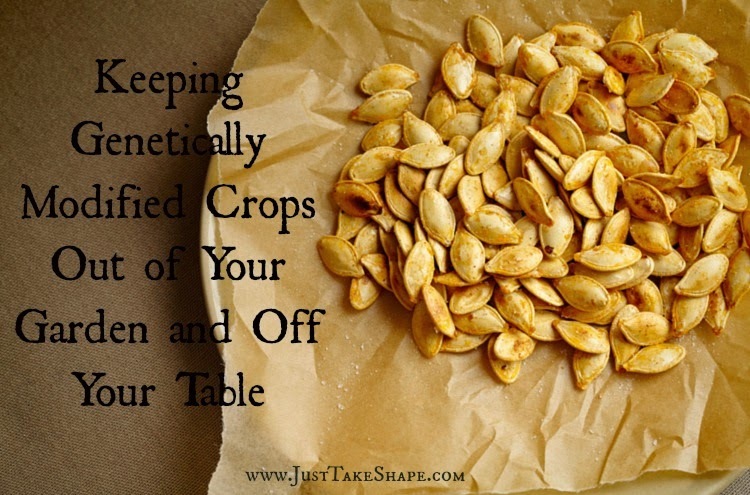 Take one of the "shells" and form the shell by folding it over gently. Place the "shell" upside down on your oven rack (see picture below). DO NOT TOUCH THE RACK! IT IS HOT!!! Please disregard how dirty my oven is. TIP: Place baking sheets under the "shells" so that if there is any oil that drips off, it does not drip onto your oven and cause a potential fire. TIP: Do not worry if your "shells" do not form to be like tacos at this point. Bake for another 20 to 25 minutes, being careful not to burn the "shells". Remove from the oven very carefully and set aside to cool. The "shells" will cool and harden. Stuff with your favorite taco stuffing. I would love to hear what you think about using plantains to make taco shells. I personally liked the taste and texture of them - my husband even liked them (which is a shock). I plan on trying to make them next time using a taco rack to save myself from burning myself on the oven and getting a more uniform shape and even trying to make them as "nachos" and even taco salad shells.